Stop me if you have heard this before - Montana has beaten Weber State to win the Big Sky Championship. It has to be like a bad, recurring dream for the Wildcats, who have now been ousted by the Grizzlies in the Big Sky tournament for four straight seasons. It seemed like it was going to be the time that Weber State finally beat Montana and erased the demons. 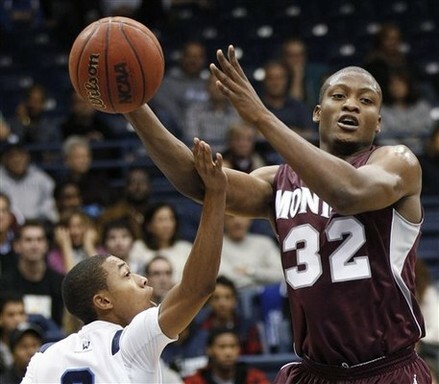 Montana was playing without Mathias Ward, their leading scorer. Will Cherry was not far removed from re-injuring his foot to the point where it was feared it was broken. Statistically, Weber State was the better team this year, with better offensive and defensive efficiency ratings. Matchup wise, it seemed like they had a huge edge upfront that would be tough for the Grizzlies to overcome. None of it mattered. Will Cherry and Kareem Jamar simply would not let the Grizzlies lose. Cherry struggled from the field in the first half, but made big play after big play in the second half. He finished with 18 points, 3 rebounds, 3 assists, and 3 steals. In a two point game late, it was Will Cherry hitting his only three pointer of the game to give Montana a five point lead. It was Cherry hitting the last two free throws to put Montana up four with 10 seconds left. Time and time again, it was Cherry going to the rim and finishing strong in traffic. He was not going to be denied. Of course, he had help from Kareem Jamar, the Big Sky Player of the Year and Tournament MVP. He finished with 20 points, 5 rebounds, and 5 assists. He was aggressive time and time again, overpowering Scott Bamforth (an excellent defender) on the drive and in the post. He was 9/13 from the floor, and make countless big plays in the second half. Jamar and Cherry were the best players on the court. As always, I am in awe of Wayne Tinkle. Last year, when Montana went 15-1, it was impressive. This year, going 19-1, battling through the injuries and the lack of depth and experience upfront, it was simply an incredible coaching job.All of the credit in the world to Montana. For the second straight year, they are going to the Big Dance. After picking Weber State to win the tournament, I have a lesson learned - never go against Will Cherry, Kareem Jamar, and Wayne Tinkle. Those guys just don't lose.